What Students Say about A Year & A Day! It's a good idea, however, to summarise in your Grimoire the key points: what worked and what didn't, and any ideas you have for improvement. That's important information for the next time you work with that. As explained earlier, it's your Wiccan reference book. Your Grimoire should contain things you can look back on to remember things you need to know. Anything that will help your practice of Wicca in the future is good to have in your Book of Shadows. As we go through these lessons, you'll gather information to include in your Grimoire. This will be part of your weekly actions. In my opinion, there are absolutely no tools necessary for Wicca. 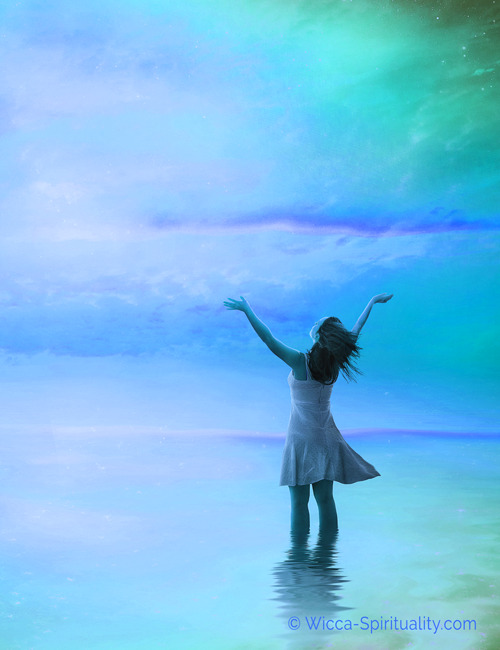 You can be a Wiccan with only your mind, if that's all you have. But if there were one tool that I'd say is most valuable, especially for beginners, I'd say it's your Grimoire. Every other tool can be substituted by other things (like your bare hand). But the Book of Shadows is where you gather everything you know about being Wiccan. A Wiccan Initiate Needs To Know . . .
1. What is the purpose of a Book of Shadows? 2. What is the difference between a Grimoire and a Book of Shadows? 3. When most Wiccans say "Grimoire" they mean…? 4. What is the best way to keep notes for your Grimoire: by hand or by computer? Why? 5. Is it better to buy a published Grimoire or to make your own? Why? 6. What's the most important preparation to do with your new Book of Shadows? 7. What goes in a Book of Shadows? 8. Where should your Grimoire be stored? 9. Why should your Grimoire be kept secret? 10. Do all Wiccans need to have a Book of Mirrors? 11. What is a Book of Mirrors? 12. Is a Book of Mirrors necessary for Wicca? 13. What are the benefits of keeping a Book of Mirrors? ü Find something to use for a Grimoire and do whatever you need to make it ready — decorating, numbering the pages for easy reference, etc. ü If you're wanting a special pen, choose one now (if possible). ü Do a purifying/blessing on them. ü If you haven't already put in the notes from the previous 2 weeks, do so now. ü Make notes from this week on what is important or what you, as a Wiccan, will need to remember. ü You may also wish to make note of questions you still have, so you can make sure to get them answered sometime. ü If you don't have a journal already, or you'd like to have a specific Book of Mirrors, find something for this purpose. ü As with your Grimoire, prepare (and decorate if desired) your Book of Mirrors, purify and bless it. 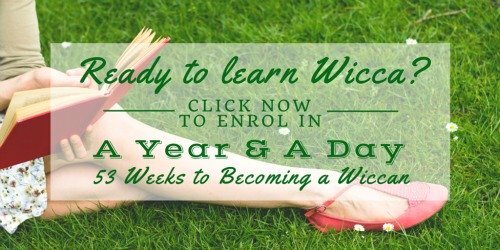 ü Make notes of how your first few weeks of Wicca study have been for you. or other effects of pursuing a spiritual path. Record these thoughts and feelings and insights in your journal. ü Record your experience of doing the blessing and purification ritual as well. Alright, you now have your Book of Shadows (and maybe a separate Grimoire and a Book of Mirrors), and you're ready to go. This is what we've been waiting for, so now you're ready to start your Year and a Day. And the first step is your Dedication on (or about) Feb 2. 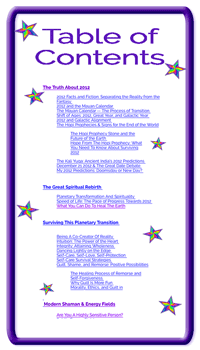 You'll receive the next lesson before that date, with time to read it through and prepare. 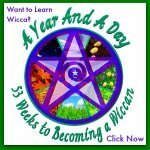 Here you go… you're really on your way to becoming a Wiccan! Lesson #3 The Moon in Wicca: The importance and role of the Moon, the Moon as a primary Goddess, magick for phases of the Moon, Esbats, etc. Lesson #4 Grounding Into The Earth: What is grounding, why it's important in Wicca, and basic grounding technique. Exciting, right? : ) See you then! Using them elsewhere or sharing them without permission is theft. Please Respect My Service and Don't Steal! Everything is breaking down these days: structures, lies, selfishness, even the ego. 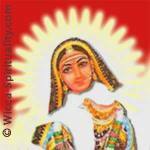 The Goddess Akhilandeshvari gives us courage. She shows us we don't have to resist or resent it when old ways die.